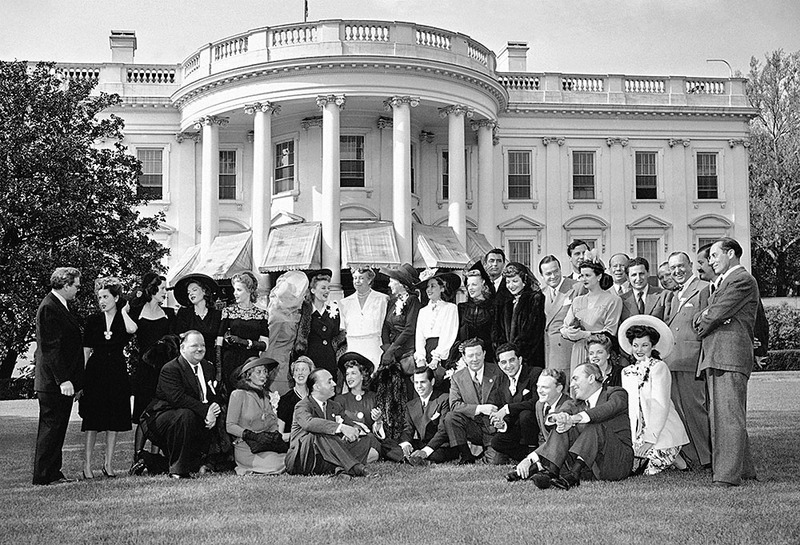 Trouped on the south lawn of the White House with their hostess first lady Eleanor Roosevelt, are movie actors and actresses who were guests for tea in White House in Washington, DC. 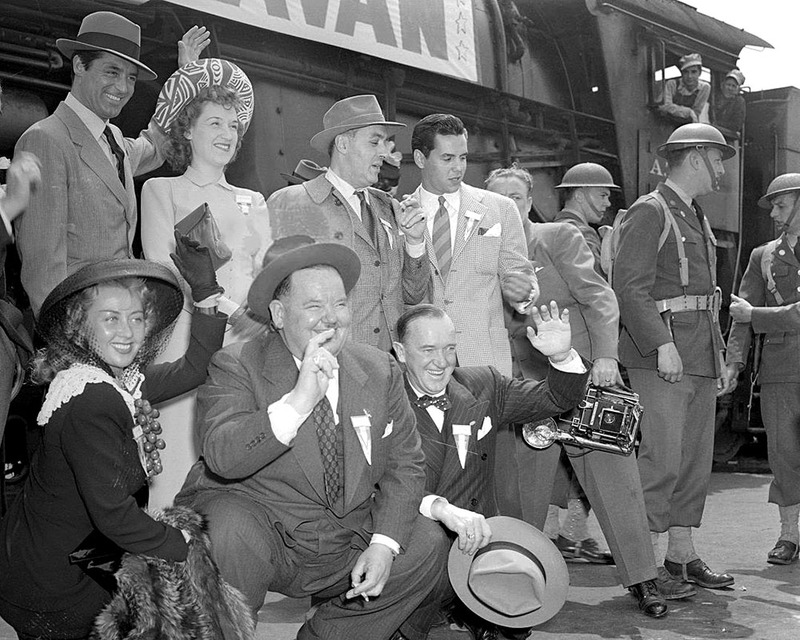 Left to right, seated, are: Oliver Hardy, Joan Blondell, Charlotte Greenwood, Charles Boyer, Rise Stevens, Desi Arnaz, Frank McHugh, Matt Brooks, James Cagney, Pat O'Brien, Juanita Starke and Alma Carroll. 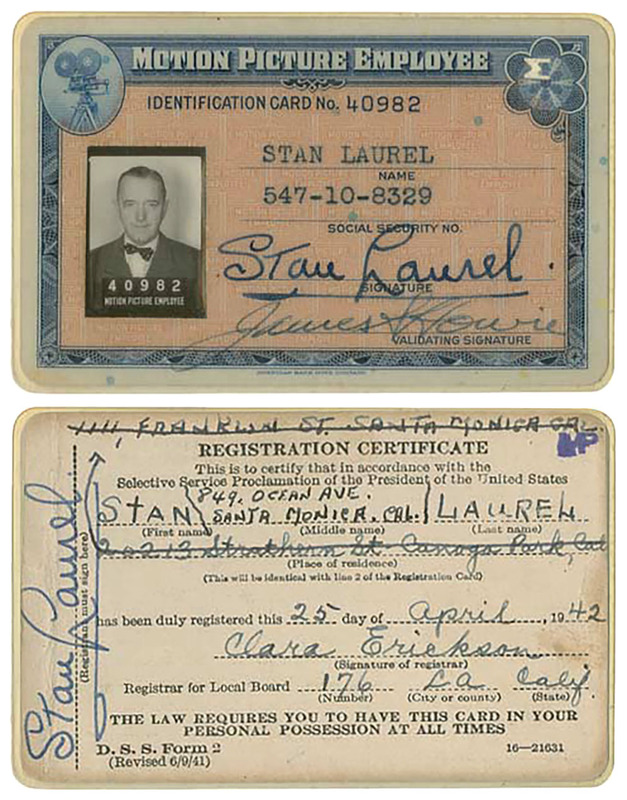 Standing, left to right: Merle Oberon, Eleanor Powell, Arlene Whelan, Marie McDonald, Fay McKenzie, Katherine Booth, Mrs. Roosevelt, Frances Gifford, Frances Langford, Elyse Knox, Cary Grant, Claudette Colbert, Bob Hope, Joan Bennett, Bert Lahr, Jack Rose, Stan Laurel, Jerry Colonna and Groucho Marx. The film celebrities were in Washington for the first performance of a show which they will present in a number for the benefit of Army and Navy relief funds. Movie stars from Hollywood arrived in Washington today for the opening of the Army/Navy relief benefit. 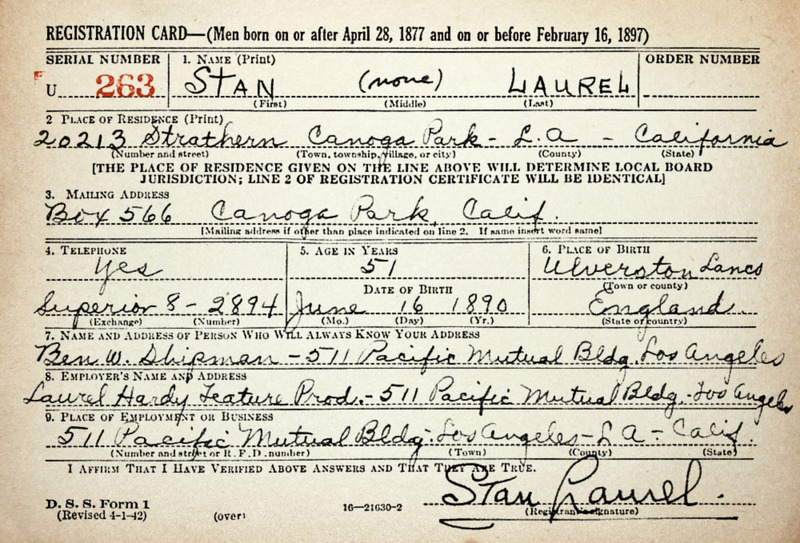 Over twenty-five stars will tour the country. 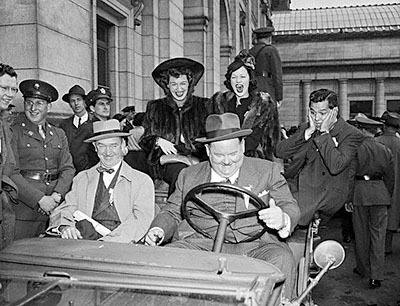 Scene at Union Station, photo shows (left to right, front): Stan Laurel and Oliver Hardy driving army car; (left to right, back): Rise Stevens, Eleanor Powell and Desi Arnaz.